Close to Walt Disney World®. Close to Everything! Purchase your park tickets online here. 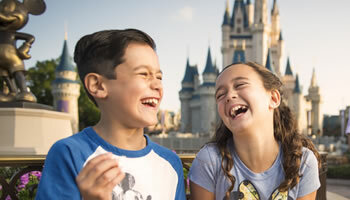 A family vacation to Walt Disney World® is the trip of a lifetime, and choosing the right hotel is one of the most important parts of your trip planning process. Consider the Clarion Inn Lake Buena Vista, a Walt Disney World® Good Neighbor Hotel when making this decision. The Clarion Lake Buena Vista is not just any hotel near Walt Disney World®. The hotel is part of the Rosen Hotels & Resort family offering the excellent quality and standards established by the Rosen brand. That means your hotel stay can be a worry-free experience, and you can spend your time enjoying everything Walt Disney World® has to offer. The hotel is close to Walt Disney World®–less than 2 miles away from Disney Springs™, allowing you to get to the parks in just minutes. We offer free, scheduled shuttle service to Walt Disney World® parks as well as to SeaWorld® Orlando and Aquatica®. Between excursions to Orlando’s world-class theme parks, relax and enjoy the amenities at the Clarion Lake Buena Vista. Onsite restaurants, two swimming pools open year-round, and numerous activities will make your stay at our hotel near Disney® a pleasant one. All of our guestrooms include a coffee/tea maker, electronic safe, microwave oven, mini-refrigerator, and cable television with the option for in-room movies. The hotel offers complimentary Wi-Fi, and you can secure your laptop or other electronic devices in the free in-room safe. The Clarion Inn Lake Buena Vista combines value with Rosen Hotel standards and a convenient location just a few miles from Walt Disney World® attractions. This Rosen hotel closest to Walt Disney World® can be the most important part your Orlando vacation experience.